Unique Complex Carbohydrate (a carefully researched maltodextrin polymer of glucose molecules) facilitates rapid absorption of electrolytes and water into the blood without "Osmotic Penalty." 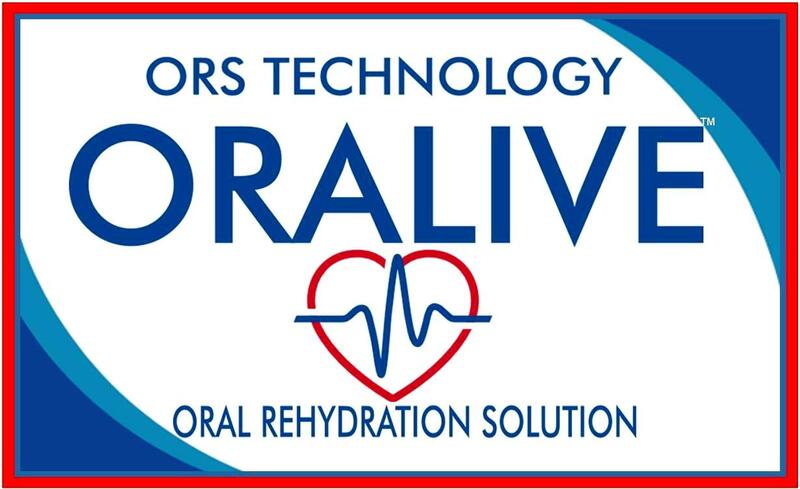 Osmotic penalty results when highly concentrated simple sugar dextrose/glucose-based electrolyte solutions draw water from the blood to the intestine to dilute the high concentration of dextrose/glucose molecules in the intestine. While each C.H.E.E.R.S. Complex Carbohydrate maltodextrin molecule is comprised of many glucose molecules, the polymer chain serves to conceal and hold glucose in the intestine without revealing the concentration of glucose within each larger molecule In other words, many glucose molecules create only one unit of "osmotic pressure." Contrast standard livestock electrolyte solutions in which each separate dextrose (glucose) molecule is exposed and acts as a charge of pressure requiring osmotic balancing while waiting to cross the gut. Our Complex Carbohydrate releases individual glucose molecules only when its polymer bonds are broken at the gut wall, at the instant of absorption, with no time to impose unfavorable osmotic pressure. Sodium and water are immediately absorbed with the glucose into the blood where they are needed and can be distributed to the body. Because Complex Carbohydrates allow more concentrated dextrose to be stored and staged in the gut before crossing the gut wall (complex chemical bonding reduces osmolarity of glucose), extra glucose (dextrose) is available for extra transport of fluid otherwise “stuck" in the bowels and gut to help reduce volume and duration of diarrhea. Complex Carbohydrate provides energy and nutritional balance. symptoms of metabolic acidosis -- losing ability to such and stand. - Help maintain muscle fitness and tissue development. - Provide metabolic energy for body functions. - Orange flavored. Mixes easily in warm water (105-120 degrees F). effort is worth the superior results. - Contains no bicarbonate and won't interfere with digestion. - Balances pH, won't interfere with feed digestion. Use C.H.E.E.R.S. during mild and moderate dehydration, when calves lose up to 8% of body weight. Symptoms: loose watery stool, droopy ears, slight recession of eyeballs and skin tenting (requires 1-3 seconds for skin to return to smooth position after being pinched). are recommended to prevent death. Electrolytes that contain sodium bicarbonate help neutralize acidosis but interfere with milk digestion. Because of this interference, milk must be withheld from calves. When milk is withheld, calves lose weight, and the thymus gland (critical for immune system function) degenerates. As a result, calf development can be retarded for the whole growing period. C.H.E.E.R.S. does not contain sodium bicarbonate and does not interfere with milk digestion. Lets You Keep Feeding Milk!